Located only eight hours from Los Angeles on Air Tahiti Nui, The Islands of Tahiti are pure paradise in the heart of the South Pacific. In addition to natural beauty and tranquility, the islands offer diverse outdoor experiences and rich Tahitian culture. Join Modern Day Explorer Bronwyn Hodge as she scouts local activities and inclusions for itineraries from Goway Travel to The Islands of Tahiti. Only eight hours from Los Angeles on Air Tahiti Nui, the Islands of Tahiti are a secluded, yet surprisingly accessible, paradise. Get an insider look at how luxurious accommodations and experiences are arranged for Goway Travel guests as USTOA Modern Day Explorer Bronwyn Hodge discovers the best of the Islands of Tahiti. Known for its idyllic blue water and French Polynesian culture, The Islands of Tahiti offer a tranquil and enriching island escape. 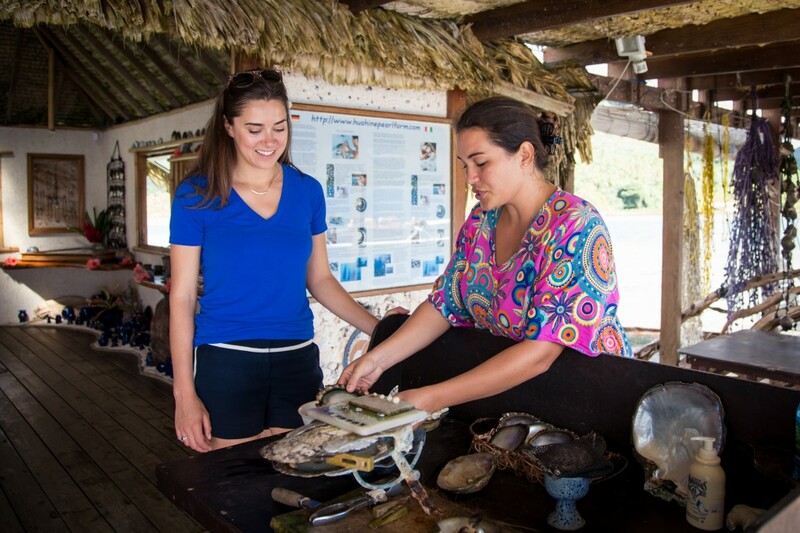 Modern Day Explorer Brownyn Hodge of Goway Travel takes you behind the scenes in Huahine, Tikehau and Rangiroa to showcase the insider access provided by USTOA tour operator members. Curious how tour operators find the most memorable, enriching experiences for travelers to book? 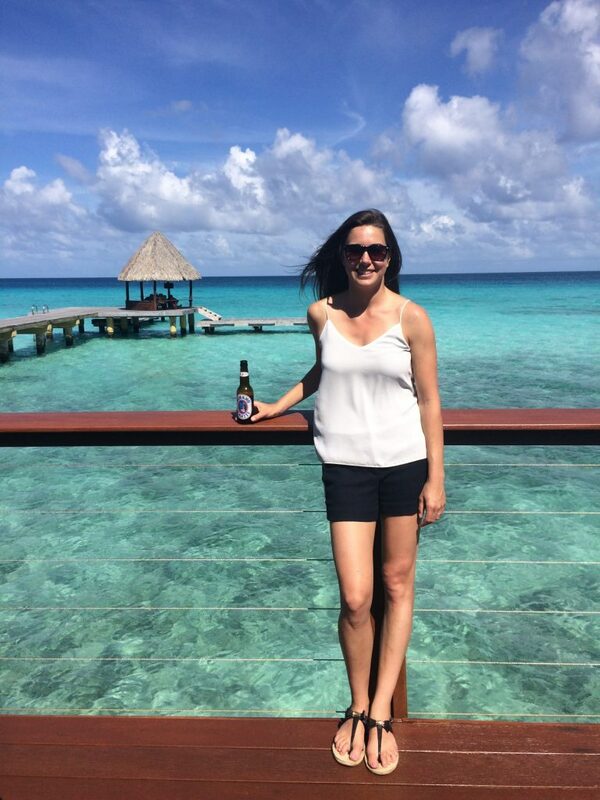 Follow USTOA’s Modern Day Explorer Bronwyn Hodge of Goway Travel as she eats her way through the Islands of Tahiti, visiting a vanilla bean plantation, fishing, tasting spirits at a local distillery and enjoying a private Motu picnic. Discover even more at http://ustoa.com/blog/finding-paradise-lesser-known-islands-tahiti/ and www.ustoa.com/modern-day-explorers. Ready to visit? Visit https://www.goway.com/trips/dest/australia-and-south-pacific/cntry/tahiti/ for details on traveling to The Islands of Tahiti with Goway Travel. Growing up in a family travel business, Bronwyn has been traveling from a very young age. Her favorite experience was three months spent backpacking through India and Southeast Asia. She counts many countries among her ‘favorites,’ but is especially fond of Australia for its lifestyle, Cambodia for its culture and resilience, and Japan for its contrasts. She holds the proud distinction of being Goway’s only former Bollywood star – having once starred in a Coke commercial in Mumbai. Behind every great tour experience is a phenomenal product manager – these “Modern Day Explorers” scout undiscovered experiences in new, emerging destinations, rediscover what’s new in beloved places, and get to know the community with the single goal to design enriching itineraries for you to book. When I tell people I’m going to the islands of Tahiti, I tend to get an envious reaction. Visiting this idyllic destination is a dream for many… yet Tahiti is only eight hours from Los Angeles, on a direct flight with Air Tahiti Nui. Tahiti is unique in that it’s secluded, yet (for many) surprisingly accessible. With its pristine, turquoise lagoons and variety of overwater bungalows, Bora Bora is the Tahitian island that gets most of the attention (and I won’t deny its beauty). Our islands specialists at Goway always recommend visitors “island hop” (there are 118 islands and atolls in total) during their vacation, so I wanted to explore different ways to put itineraries together to give our clients the best experience. The goal of my trip was to venture beyond a typical itinerary and discover what the lesser-known islands have to offer our travelers. Tahiti Tourism recommended three islands that offer an uncrowded, “off the beaten path” experience. My first stop was Huahine, part of the Society Islands (only 25 minutes from Bora Bora), followed by Tikehau and Rangiroa, both part of the Tuamotu Archipelago (an hour’s flight from Tahiti or Bora Bora). And so my island hopping adventure began. Huahine has an amazingly lush landscape – a dramatic mountainous interior circled by a stunning lagoon. But beauty aside, this island is special in that it is home to a fascinating ancient culture and is dotted with around 200 archaeological structures. 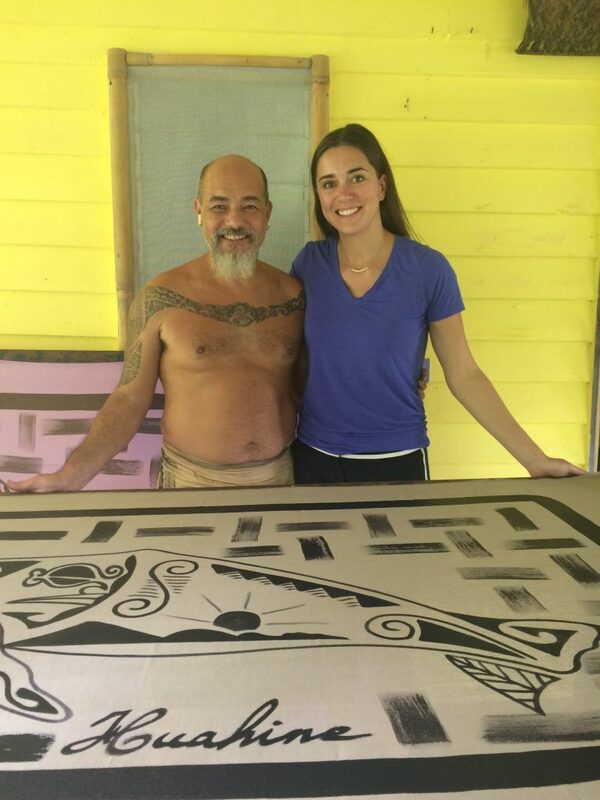 I spent the afternoon with an expert anthropologist who knew everything about Polynesian history, people and culture. What’s really interesting is the locals are still discovering ancient sites (marae) today. I also visited what is claimed to be the country’s smallest black pearl farm in Huahine, perched on the water and accessed only by boat. All the locals own black pearls and wear them in jewelry, so it’s really interesting to learn the intricate pearl-making process. During my stay, I felt like I met everyone on the island, whether it was a friendly local at the Fare (market), the pareo (sarong) artist, or the distiller who let me sample the most delicious coco-schnapps. This laid-back island has some of the friendliest people, who are proud to share their culture. These are the kind of authentic encounters our travelers are looking for. I also discovered a unique way to island hop. 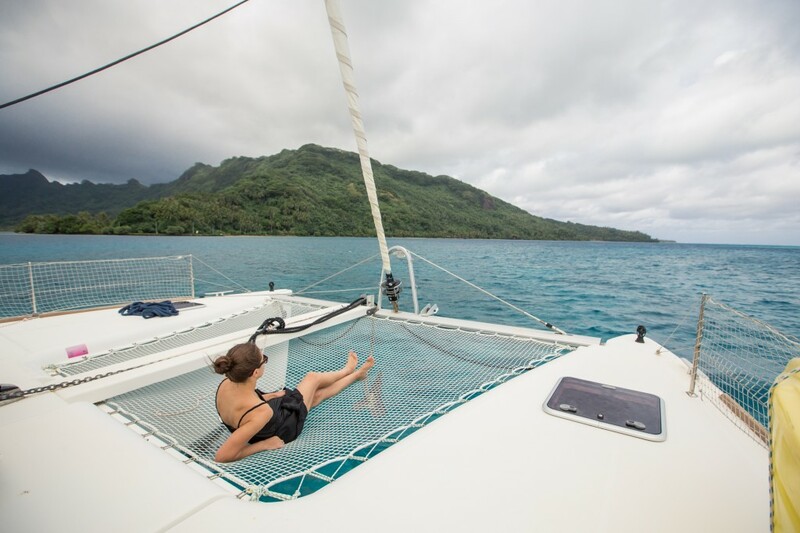 I embarked on a beautiful catamaran (Tahiti Yacht Charters) that was essentially my own “floating bungalow.” The ship is rented out exclusively to groups as small as two, giving you a really intimate, personalized experience. The itinerary is tailored to what the clients want to do, and you can snorkel, swim, or paddle board as you journey between islands. A short 4-day cruise is a great way to add diversity to an itinerary. Heading over to Tikehau, where the population is around 400 people, there are miles of beautiful pink and white sand beaches. Tikehau struck me as the perfect place to unwind. The Tuamoto Archipelago are atolls (a reef circling a lagoon), meaning the landscape is very different from the mountainous Society islands (like Bora Bora and Huahine). You can see along the horizon for miles. There are many secluded beaches to explore, easily accessed by kayak or canoe. I felt like I’d found my own slice of paradise. The Tikehau Pearl Beach resort is the hotel of choice here. 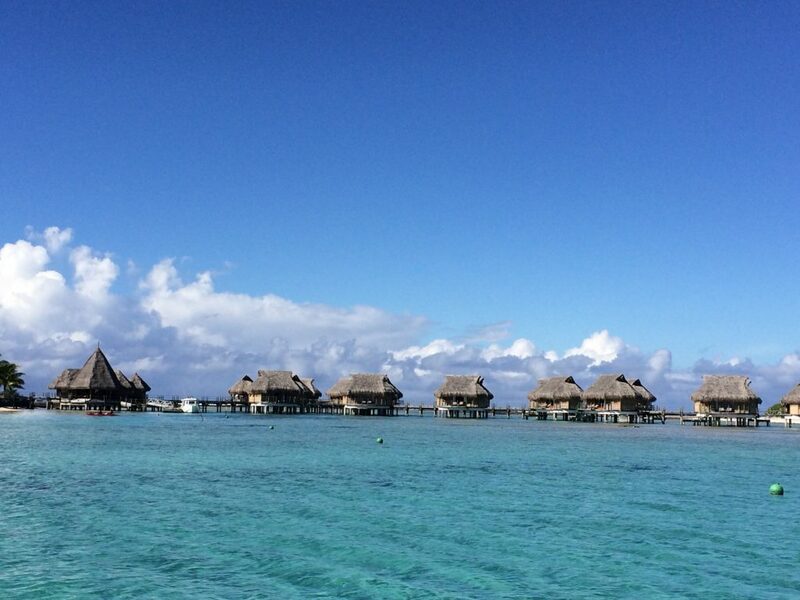 The property offers beautiful bungalows on the beach or overwater bungalows/suites on the lagoon. I stayed in an overwater suite and woke up in the morning with a swim and snorkel in the pristine lagoon right from my deck– heaven! 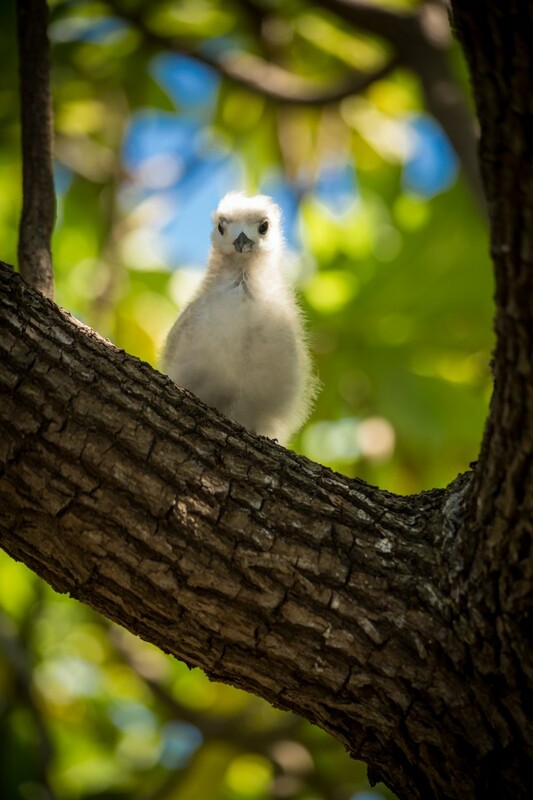 During my stay, I went out on a boat excursion visiting Bird Island, a reserve where you can get up close to several bird colonies in their natural habitat. Afterwards, I had a delicious picnic lunch on my own private motu (island). It was extraordinary. Rangiroa (only 20 minutes from Tikehau) is actually the world’s second biggest atoll. The aerial view as the plane lands is simply stunning (aim for a window seat). While the snorkeling is pretty amazing off most islands, Rangiroa has French Polynesia’s most impressive underwater life, a top choice for divers. 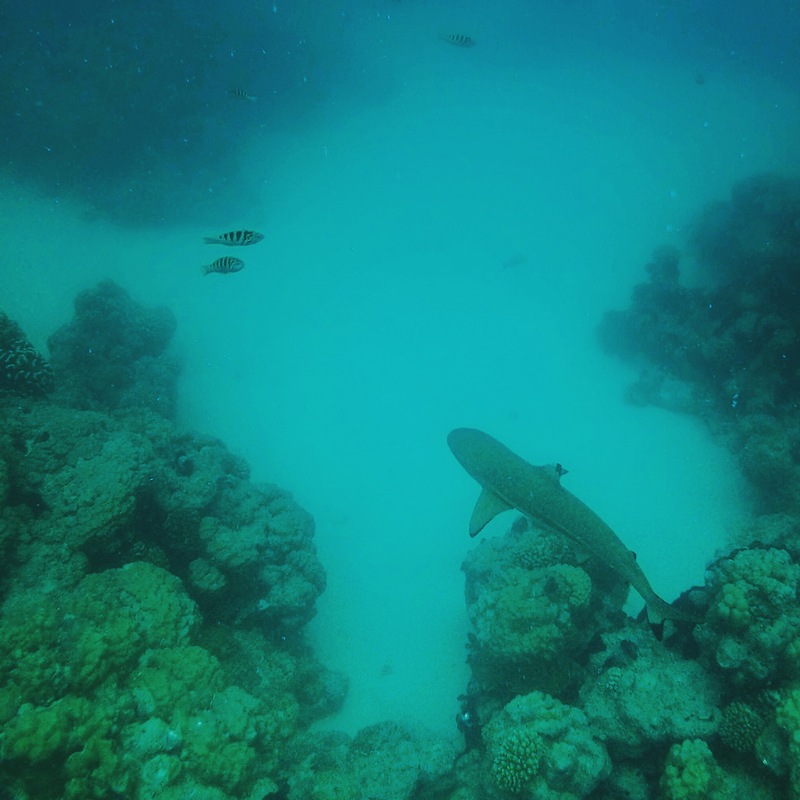 I snorkeled in a natural “aquarium,” filled with tons of fish and reef sharks. This snorkel site is a short boat ride from the lovely Kia Ora Rangiroa. The property has beach bungalows and overwater bungalows, but I personally loved the pool villa I stayed in which has a private plunge pool. A top activity is to “shoot the pass” in Tiputa, a spot known for its amazing drift snorkeling. We spotted wild dolphins during a boat excursion accompanied by a marine biologist. You can even see the dolphins from land every day at sunset as they come out to play in the waves. At the end of my trip I felt like I’d seen a unique side of the islands of Tahiti. These smaller islands can easily be included into any itinerary, since they are very accessible and great value for money. 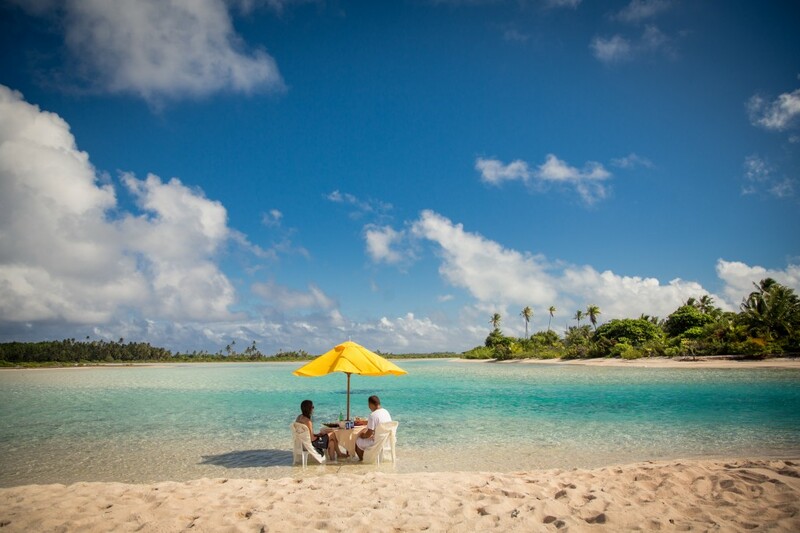 Huahine, Tikehau and Rangiroa offer an enriching experience for travelers who want an authentic Polynesian paradise. Interested in learning more about Bronwyn’s journey to The Islands of Tahiti? Go behind-the-scenes with Bronwyn with our video series, A Modern Day Explorer’s Quest to The Islands of Tahiti, launching this September.